If you thought tree houses were only seen in imaginary fairytale movies, or exclusively for children to play in, we have some good news… turns out, they’re for adults too! We did the groundwork for you and hunted up and down AirBnB to show you that you can make your dreams of living in a tree house come true! We are convinced these are among the best of the best tree houses across the world to escape to! Little tip, you can view the entire range of tree houses available around the globe here! Whether you want a break from everyday life in a serene, natural environment, or you’d like to stay in an uber-cool alternative to the tried-and-true hotel, then these tree houses are for you! Get ready to be excited! Scroll through to see our picks for yourself. There is round-the-clock access to natural hot and cold springs right on the premises. Need we say more? If you love hiking in a tropical setting, then this tree house is the one for you. 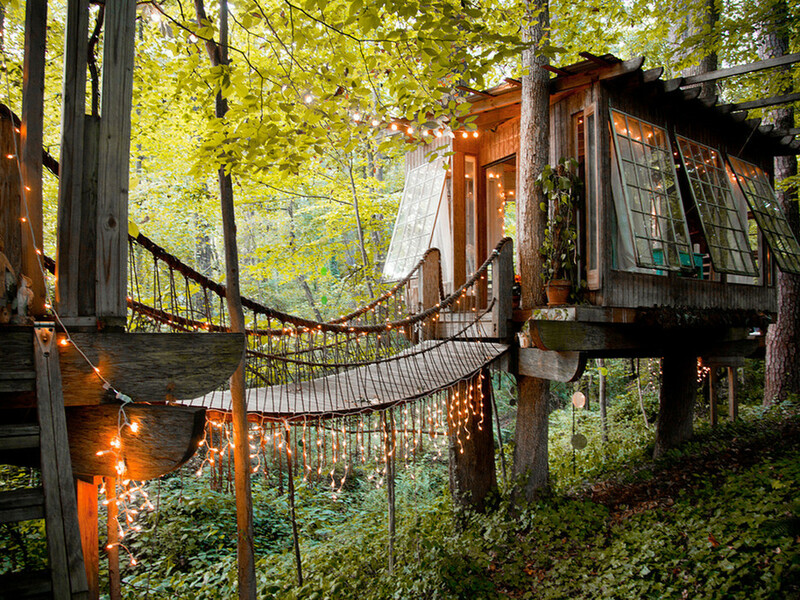 Just look at that dreamy canopy hammock suspending from the floor to the ground level. If you’re in need of a slower pace, look no further than this island-jungle abode where bamboo abounds. And if you like the façade, wait until you get a peek inside of the chic interiors. A tree house hideout in the northern Italian hillside sounds like the perfect vacation. There’s a swimming pool right on the property, so we suggest visiting during the warmer months when you can enjoy the sun. And wine tours through the gorgeous vineyards are always an option in Montferrat, rain or shine (but you should double-check before booking any tours). Which tree house would you want to call home? Share your thoughts with us in the comments below!